Philips Lifeline is an easy-to-use medical alert system that lets you summon help any time of the day or night – even if you can’t speak. All you have to do is press your medical alert button, worn on a wristband or pendant, and a trained Personal Response Associate will ensure you get help fast. That’s why Philips Lifeline provides the #1 Medical Alert System to offer you something else: peace of mind. Dependability is key to peace of mind. That’s why doctors, hospitals, and professional caregivers trust our Medical Alert System. Our HomeSafe systems are perfect for people who spend most of their time at home. If cooking and reading are some of your favorite pastimes, consider our HomeSafe Standard or HomeSafe with AutoAlert systems. You’ll have direct access to help in and around your home in case of a medical emergency. Our GoSafe systems are perfect for more active adults. If you enjoy getting out and about; seeing friends, indulging in your hobbies, or going to the store, consider our GoSafe or GoSafe 2 mobile systems. You’ll have direct access to help anytime, anywhere. Not all medical alert systems are created equal. Philips Lifeline offers important features that can help keep you feeling safe in ways other personal alert systems don’t. A caring Lifeline Response Associate, available 24/7, will talk with you to quickly assess the situation, and understand what help to send to you. Our Response Associate dispatches the help you want; a neighbor, family member, or emergency services, and follows up to confirm the arrival of help. As the leader and largest service provider, Philips Lifeline has developed a medical alert solution to meet every individual need. Now, whether at home or on the go, the right support will always be there. At the heart of all of our services is a discrete help button, worn as a necklace or bracelet. It connects you or loved one to help in a case of a fall or an emergency 24 hours a day, 7 days a week. Our button is paired with an in-home Communicator which acts as a speakerphone for two-way voice communication with our Response Center in the case of an emergency alert. All calls go directly to the Lifeline-owned Response Center in North America. You can always be sure that your call will be answered by highly trained and caring emergency contact Response Associates who will access your profile, contact the people you’ve identified, and request the help you want. Our Response Associates will even follow up to confirm that help has arrived. The GoSafe product provides maximum protection both in and around the home as well as while away from the home. 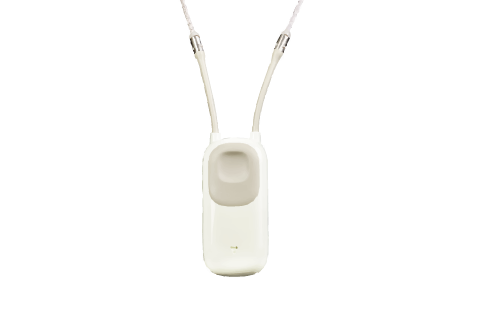 The GoSafe medical alert system combines mobile gps technology and fall detection technology to ensure the comfort and safety of your loved one no matter where they are or if they pushed the emergency button. The cost of the medical alert system will vary depending on the service you choose. What does a Lifeline medical alert system cost? There is variation in the pricing depending on the type of service you choose, but whether you choose our GoSafe, GoSafe2, HomeSafe Standard or HomeSafe with AutoAlert service, know you’ve made a great decision by choosing Lifeline for your emergency response system! Pay for your service on a monthly basis, just while you need it. We won’t ask you to sign a long-term contract, confront hidden costs, or buy special equipment. Lifeline offers nationwide coverage, available in every community across the country. Please remember that although a cell phone may seem like a cost effective alternative to a medical alert service, it can’t replace one. I am a believer! In reaching for my cane next to my bed, I fell out knocking the night table to the floor and pinning my leg. Lifeline heard my fall through the receiver, and they called me! Two policemen plus my son were here within 15 minutes. I was taking out my trash when I lost my balance and fell. I tried to push the button but couldn’t do it. I didn’t realize that when I fell it went off. In a very short time I heard a siren. It was the paramedics, and my son had been called and was on the phone. I was taken to the hospital and was told I had a broken hip. Lifeline saved my life! A Philips Lifeline representative will be in touch shortly. I'm sorry, but we’re having some trouble. Unfortunately, your message cannot be sent at the moment. In the meantime, our Customer Care team can be reached at 1-800-635-6156.